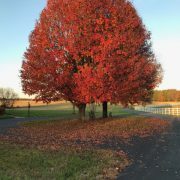 The fall season has arrived on the farm. In many places like my farm, leaves change colors, students are back in school, football kicks off, and bonfires burn bright. This seasonal shift is also true for funding. As fall arrives, so does the arrival of allocated funds to many local school districts. Fall often signals the beginning of the start of the Fall Funds Falling! We often hear that grants are all about timing. But did you know that timelines don’t really tell the story? Throughout the year funds continuously fall. Discussing what funds are available and what they can be used for during your conversations with education decisions makers is a key selling strategy. Typically, the fall season is a time when schools are spending newly authorized federal formula funds for the current fiscal year. In addition, schools might also be looking for ways to spend carryover funds from previous fiscal years before the October 30 deadline. Fall is also a time when grantees for many discretionary funding programs are announced. Several that were announced in the past week are the Education Innovation & Research awards and the COPS School Violence Prevention Program. Did any of your potential partners receive grants through those programs? 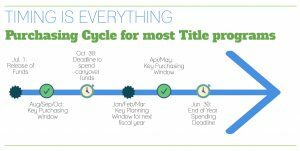 This fall, before you enter the school building for meetings, consider your funding plan and how it aligns with the school’s funding sources. Be knowledgeable about the funds to enable decision makers to procure your products and services. Remember, right now funds are emerging throughout school districts. Are you prepared to rake them in?